Toss thinly-cut beets with olive oil, rosemary, and salt to make perfect crispy fries that are baked and not fried – so you can feel great about serving them to your family! I’m a lover of fries. There, I said it. My name is Hannah Claire and I am a fry addict. Idaho potato, sweet potato, zucchini, squash, eggplant, carrot – if you give me any veggie that is cut into a shape that resembles a dip-able french fry, I will eat it. All of it. Fried or baked, I will not discriminate. I was perusing the produce at the grocery store, and I happened upon some gorgeous multi-colored beets. So naturally I bought them. Who doesn’t love pretty, in-season produce? When I got home I encountered a dilemma- how do I prepare these gorgeous beets? Beets have a sweet and earthy flavor profile, and their texture is a mix between a red potato and a carrot. It dawned on me – I could have my favorite drug of choice. Fries. Made even better with beets. Crunchy strips of sweet and earthy beets, baked to crisp perfection. So I cut my beets into strips and tossed them in olive oil. The trick to getting these super crispy is to spread them out enough so that they are not overlapping. A convection oven is also a miracle-worker when it comes to giving baked fries crispy edges and a soft center. The results were absolutely delicious. I ate every last one of them and was not one bit sorry. I suggest dipping them in honey mustard or just eating them plain. Like my post? Connect with me on instagram via @eatyoursweets! 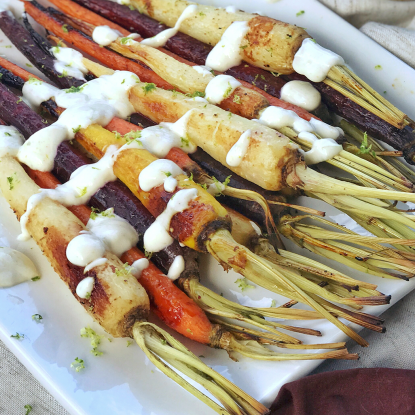 Thank you so much to my FABULOUS intern, Hannah Claire for her fun Rosemary Beet Fries post. 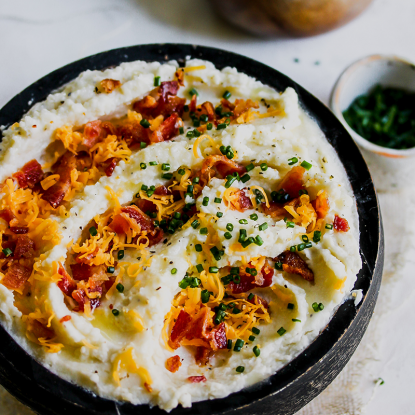 Make sure to connect with her on Instagram to follow more of her delicious recipes. Have we connected on social media? If not, you can also find me on Instagram as well as Facebook, Twitter, Pinterest, and YouTube. Wash and cut beets into 1/4 - 1/2 inch thick strips. The thinner the strip, the crispier the fry. Toss beets in olive oil. Spread beets out on a baking sheet, careful to not let them overlap. Sprinkle rosemary and salt on beets. Bake in oven for 1 hour or 30 minutes on convection. Toss thinly-cut beets with olive oil, rosemary, and salt to make perfect crispy fries that are baked and not fried - so you can feel great about serving them to your family! I love beets and I love rosemary, but have never put them together. Great idea. Can’t wait to try! Let me know if you give them a try. Definitely a nice flavor combo! These sound delicious! I love an alternative to regular fries! Thanks! Let me know if you try them and what you think! 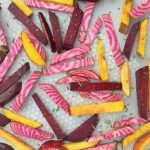 i love beets and have no doubt I would love these beet fries! The colors of these beets are amazing! What a fantastic idea. 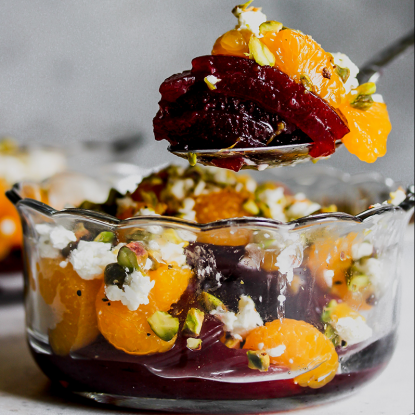 I’m not a red beet lover but do love yellow and candy cane beets and am always looking for new ways to enjoy them. Will be making these soon. Please do! I agree–yellow and candy cane are delicious! I clearly need to be more adventurous and make fries using other root vegetables! Only ever thought of potatoes and sweet potatoes! Doh! Beets and carrots work really well too! Chips and fries made with root veggies are so delicious! Pinned and can’t wait to make em. 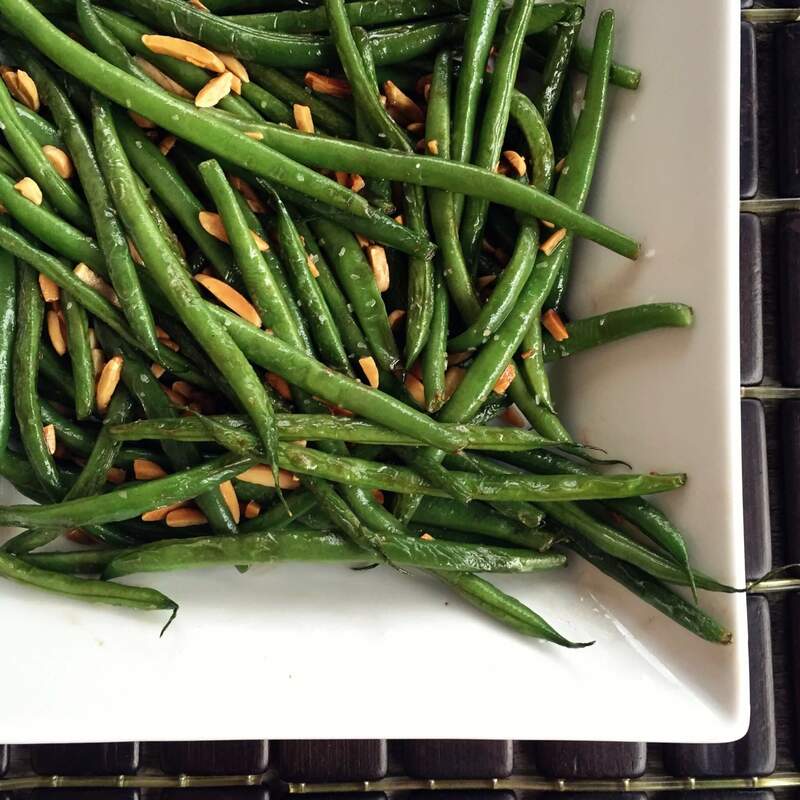 Love that these are seasoned with rosemary, too! I agree–my favorites! Let me know if you try them and how you like ’em! 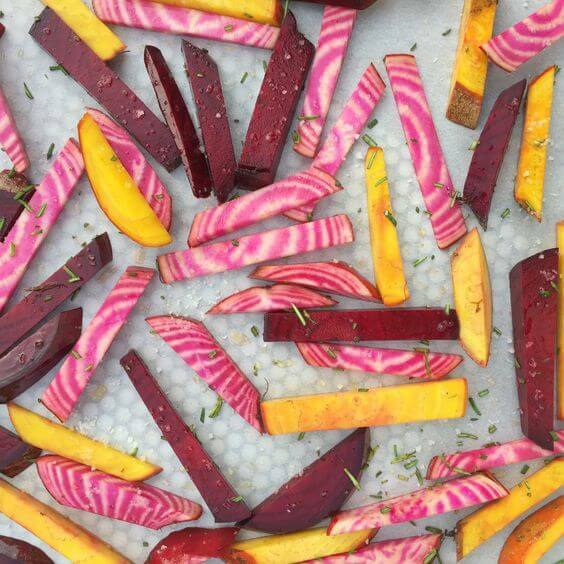 Beets are awesome, but beet fries sound even better! I gotta try these!!! They’re great–the rosemary really takes them up a notch! Oh I love fries too.. They are most definitely a weakness of mine, I never thought of turning beets into fries but I love it! They are delicious–try the same concept with zucchini too. Yum!